November 17, 1911 changed the lives of many African Amerian men in this great country. It was on that day that three liberal arts students, accompanied by their professor and mentor, founded arguably the greatest Fraternity in the world: Omega Psi Phi Fraternity, Inc. The name of the fraternity was derived from the Greek phrase "Ophelema Phelia Psukas" which translates into "Friendship is Essential To The Soul". This phrase was adopted as the Fraternity's motto and is embedded within every man in the Omega fold. The founders worked tirelessly during a time when African Americans encountered many social injustices including the right to vote and the ability to attend many schools attended by their white counter-parts. Friendship, was the common bond between them; Brother Herman Dreer wrote that the founders desired to establish an organization were the members would be "one in aim, one in thought, and one in loyalty" (Dreer, 1940) . 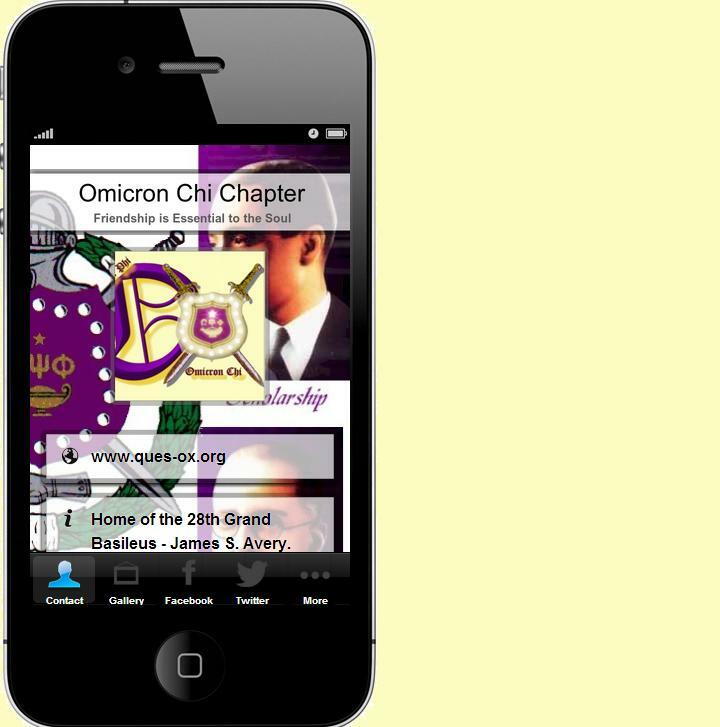 The founders sought to overcome college administration which wanted to limit Omega to a local organization. Perseverance...Omega today is an internationally known organization made of men strong in character, intellect, and responsibility. The founders established the four cardinal principals, which all Omega men live by until the day they enter in "Omega Chapter" with our supreme ruler who created all men. These principles are Manhood, Scholarship, Perseverance, and Uplift. Today the men of this great Fraternity celebrate the birth date of the fraternity during the annual Founder's Day Celebration organized and celebrated jointly among the various chapters of Omega Psi Phi. "Operation Big Vote," was successful in getting thousands of African-Americans to vote in the 1976 election. Omega continues to flourish, largely because founders -- Love, Cooper, Coleman and Just -- were men of the very highest ideals and intellect.